Citizen science programs are research collaborations between scientists and community volunteers. Examples include the Audubon Christmas Bird Count, iNaturalist and Monarch Watch. Some common characteristics of citizen science programs include: contributions by many people, often over a large area; standardized protocols defining simple, non-technical data collection procedures; the work helps answer a question of scientific interest and; there is some benefit for participants. 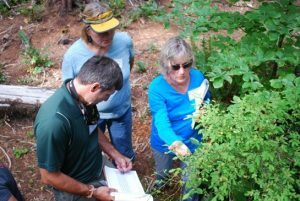 Citizen scientists collect and report data about the natural world in their local area, expanding both the opportunities for scientific data collection for researchers and access to scientific information for communities. These projects have potential to be very effective, especially in gathering data across a large landscape, like Oregon. Oregon Season Tracker (OST) is just such a project in which trained OST volunteers observe and report data on precipitation and phenology (seasonal events) at their woodland, farm, ranch or home site. 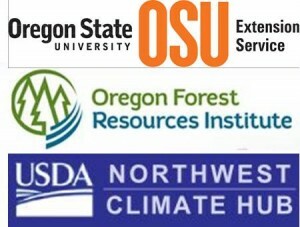 OST was created as a joint program of OSU Extension Service and the HJ Andrews research forest to help scientists in Oregon fill data gaps, and expand the scope and inferences of climate research across the state’s diverse landscapes. The project also partners with two national citizen science programs to collect and manage the OST volunteer’s data: the National Phenology Network (NPN)’s Nature’s Notebook; and Community Collaborative Rain Hail & Snow Network (CoCoRaHS). 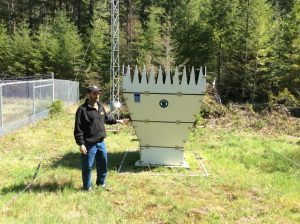 Mark Schulze, Director of HJ Andrews and OST cofounder explaining some precipitation research instruments at the Andrews. The idea is to enrich the extensive research in forest ecosystems and responses to climate variability and disturbance already underway at the HJ Andrews Experimental Forest, Long Term Ecological Research (LTER) program. Teams are studying the weather as well as seasonal patterns among many different species in the complex terrain of the Andrews, located in the western Cascade mountains. While focused and detailed, information collected at the Andrews and similar research stations represents relatively scattered sites, making it difficult to understand know how broadly their findings apply across the landscape. Citizen science offers a way to gather related data from a much wider area. So when Pat monitors and reports on blossoming snowberries at her house in the mid-Willamette Valley, and again at her woodland property miles away in the Coast Range, she is helping develop a data set and a picture of change that is much more representative of the state. 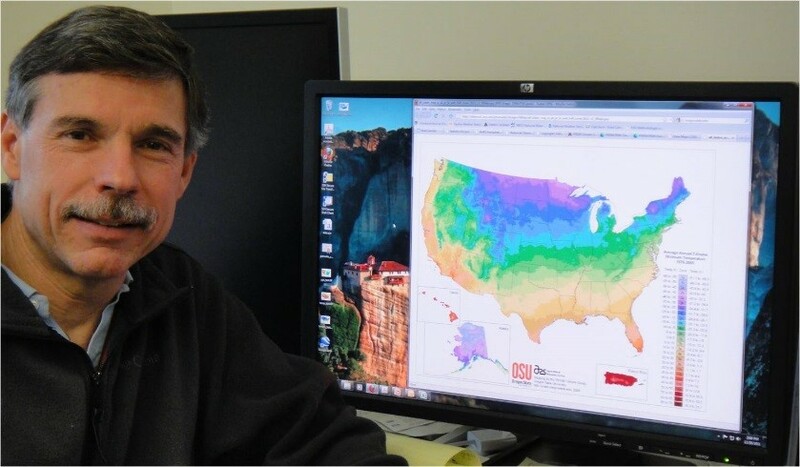 The OST citizen science project is also of great interest to Chris Daly, who is a scientist at the HJ Andrews LTER and director of the PRISM Climate Group at Oregon State University. PRISM (Parameter-elevation Regressions on Independent Slopes Model), is a sophisticated computer model that Chris and colleagues use to estimate weather and climate variables like precipitation and temperature in fine detail across large areas of the landscape. PRISM makes large global weather models more accurate by predicting how the big patterns (like movement of the jet stream) will affect things at the small, local scale. This allows weather and climate forecasters to pinpoint specific predictions for Corvallis, Salem and Pacific City. Yeah, it is PRISM that is telling you it will be cool and to bring a sweater when going to the Oregon Coast during a Willamette Valley summer heat wave. To make its predictions, PRISM needs lots and lots of data from many different and specific landscape situations, which it collects from an array of weather stations at airports or government offices. PRISM also uses the data collected by OST and other CoCoRaHS volunteers who are adding many new data points, often in remote areas that are not well represented in the data. So each time Sophia reports the daily snowfall on her hillside in Klamath Falls, she is helping improve the understanding and the accuracy of weather and climate forecasts developed by the many government agencies businesses that use PRISM information, especially for areas without many weather stations, as in southern and eastern Oregon. 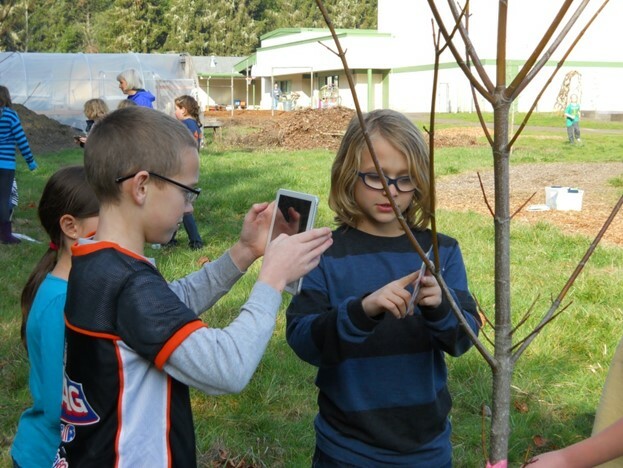 Since launching OST as a pilot in 2014, the partnership has already over 150 observers and added dozens of new reporting stations in 15 Oregon Counties, and reported tens of thousands of individual observations, many in more rural areas including mountain slopes, and backyard gardens. The OST citizen science program is making a useful contribution to the effort to monitor and understand climate change and its impacts. This reflects another benefit of citizen science programs which create new channels of communication between climate researchers and the communities in which the citizen scientists live, farm or ranch, leading to new conversations and understanding. Extension has taken the lead in making that connection in the OST partnership, providing ongoing learning opportunities for volunteers through a website and periodic newsletters, produced by OST Program Coordinator Jody Einerson. The Observer newsletter features profiles of participating researchers, volunteers and school programs to share their perspectives and experiences, and school kids share their insights in a video exchange with “Researcher Mark” (Schulze) at the Andrews. Follow this link for more. Sound interesting? For more information about OST, visit the Oregon Season Tracker website and check out ways to “Become an Observer” on the right hand panel. Wise management of forest and other natural resources in a changing world requires long term information and fine resolution to guide actions at both local and landscape level. Citizen science projects like Oregon Season Tracker are a constructive way to monitor changes across a large and diverse landscape, build a broad research base widely available to scientists, connect scientists and rural communities and help the natural resource managers – farmers, forest landowners and ranchers, get info they need.